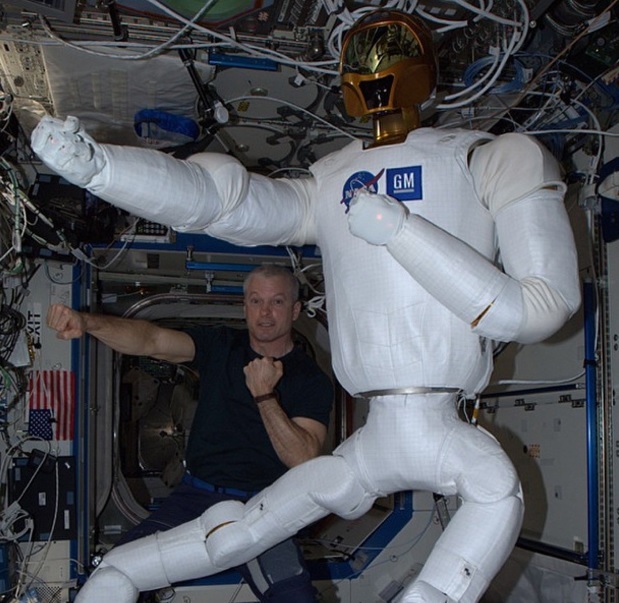 NASA’s Robonaut 2 which costs $2.5 million is the first humanoid ever to fly in space. Robonaut 2 was launched on STS-133 on February 24, 2011. NASA indicates “Robonauts are essential to NASA’s future as we go beyond low Earth orbit”, and Robonaut 2 will provide performance data about how a robot may work side-by-side with astronauts”. Robonaut is expected to come back at the end of this spring as early as May. It is coming back to Earth for repairs. According to NASA Robonaut 2 will move a ride on a Dragon spacecraft as a part of SpaceX’s 14th commercial resupply mission, which is created to launch to the International Space Station no earlier than April 2 and is planned to return to Earth a month later. Pete Hasbrook, associate program scientist for the International Space Station program at NASA’s Johnson Space Center in Houston, said during a news teleconference: “Robonaut has had some issues with being able to power up on orbit, and that’s gone on for at least a year, maybe two.” “After a lot of troubleshooting on orbit and a lot of analysis on the ground, they’ve concluded – pretty conclusively, if you’ll let me use that term – that there’s a short of some sort in one of the circuit boards and they’re going to need to bring it home to repair that.” “They will also do some refurbishment, and then plan to send it back up – I believe they have funding to send it back up and then continue the investigation” he added. Johnson Space Center officials have said Robonaut operated well on the space station until 2014, when astronauts added a pair of legs to increase the robot’s mobility. But the robot wasn’t designed for serving by astronauts, the legs wouldn’t move once the motor was fully powered up, and several other errors demonstrated in its operation. Robonaut will ride with science samples from biology, plants and protein crystal growth, cell research and human research experiments, as well as hardware from experiments that have been completed, including a computing experiment and an Earth-observation experiment, Hasbrook said during the news conference.